BIRMINGHAM — Birmingham Police detectives reported that they have obtained a warrant in connection with a homicide investigation that occurred on Tuesday, Dec. 4, near Fountain Heights. 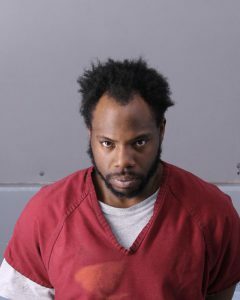 The victim, identified as Roland Gilmore, 34, of Birmingham, was discovered unresponsive on Tuesday when officers responded an assault located at 1825 15th Avenue North. Lee Wooddruff, 31, of Birmingham. A murder warrant has been obtained against the suspect. The suspect is in the custody of the Jefferson County Jail. Lee Wooddruff was the person of interest taken into custody following the incident.